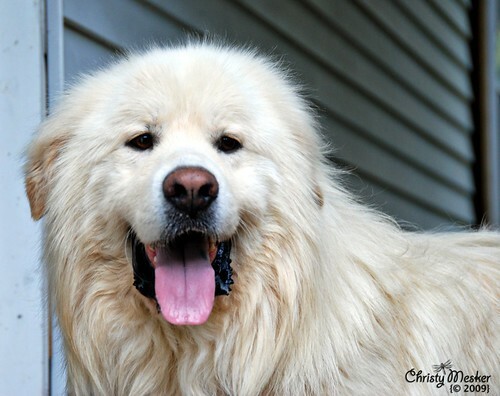 Wednesday evening as I was perusing around Facebook I came across a post from a friend of ours that read �Can anyone foster a Great Pyrenees/Golden Retriever mix till Monday?�. �Since Jason and I have been kicking around the idea of adopting another dog for several months we thought it might be a good opportunity to help out and to see what life would be like with four dogs in the house. �What we weren�t aware of was the reason the dog needed to be fostered and the condition he would be in when he got to us. On June 30 there were 37 dogs removed from a mobile home in Mt. Vernon, Kentucky. �Every dog was severely emaciated and covered in fleas. �There were dogs from chihuahuas to great danes, young and old. �They were living in filthy conditions where they were standing in up to 6″ of feces in some areas. � Every single dog was removed from the home and sent immediately to the vet. �Currently all of the dogs are in foster homes, apart from the ones that are still too bad off to leave the veterinary office. �For the full story and photos visit the United Rescues of Kentucky web site. �There are updates, news videos and press videos linked from this page. �(If you are sensitive to photos of starved dogs, you may want to refrain from going past the first page.) �There is also a donation form to help out with the vet expenses for this group of dogs - if you can help out any at all it would be greatly appreciated. �If you do donate, please leave a comment and let me know! Congratulations on your adoption. He is absolutely BEAUTIFUL!! Thanks! He is a great dog. He is unlike any other we have owned. 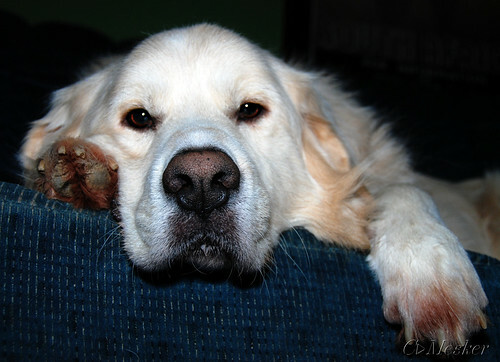 The Pyrs can be quite stubborn at times but he is well worth it. Cute snaps! Your dog is very healthy.